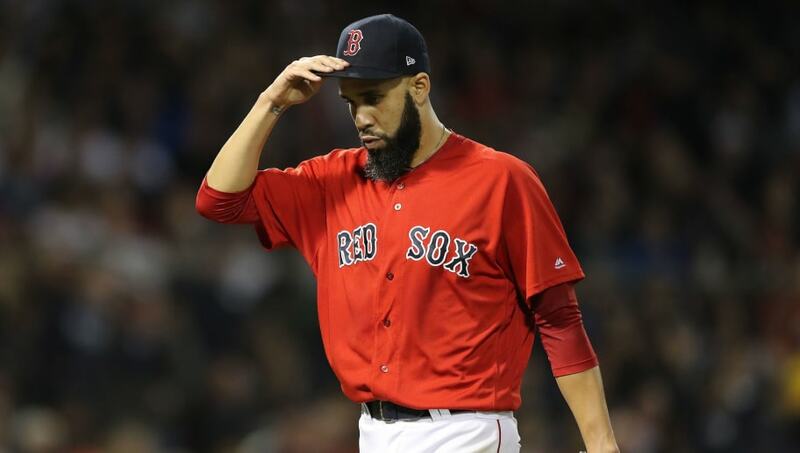 ​I'm sure ​Boston Red Sox fans were hoping this year would be different for David Price in the postseason. But once again, the former AL Cy Young Award winner wasn't very effective in October and he was ​chased after giving up three runs over 1.2 innings. The good news: Price won't be making another start during the ALDS against New York. The bad news: Price will probably make another appearance in the ALDS as a reliever. Prepare yourselves to see David Price again really soon, Red Sox fans. “Obviously we need outs,” manager Alex Cora told Ian Browne. “Actually, we were just talking about him, me and (pitching coach) Dana (LeVangie), and there were a few things that we noticed, actually the last few weeks, that he’s not doing the way he did in those 11 outings or whatever it was. ​​Price may not be the frontline starter in the playoffs he's being paid to be, but he's been much better as a reliever in the postseason and could be a nice weapon late in games. In 18 career postseason appearances, Price has a woeful 2-9 record with a 5.28 ERA, However, in eight relief appearances he holds a 2-0 record with a 2.35 ERA. That's a completely different pitcher, and instead of believing things will magically change, put Price in the best position to succeed.